I had every intention of coming up with a bunch of Valentine’s Day recipes for you, but wouldn’t you know it, the big day is next week and I’m just getting my head into the Valentine’s Day dairy-free recipes zone. Since getting back from New York last week, I’ve been in a frenzy to finish the last half of the recipes for my cookbook. Yes, a Healthful Pursuit cookbook! And it’s not just any cookbook… it’s a grain-free, vegan dessert e-cookbook loaded with healthy dessert recipes and grain-free concepts that you’ve never seen on the blog, or anywhere for that matter. It has limited nut recipes, everything is soy-free, refined sugar-free… it’s going to be crazy good. 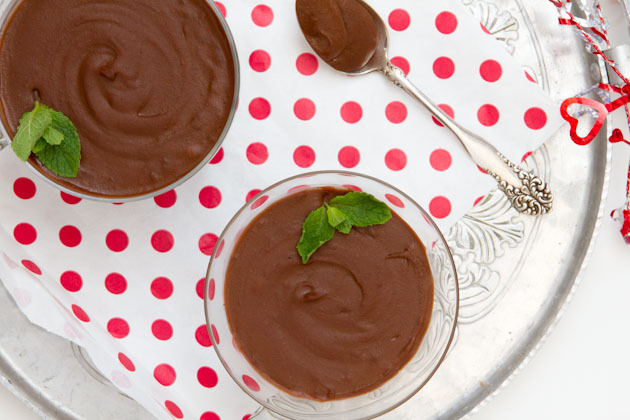 But for now, let’s eat dairy-free pudding, shall we? A dairy-free pudding with just 5 ingredients. Velvety smooth, rich, and only 200 calories per serving. You wont believe that it's made with beans! 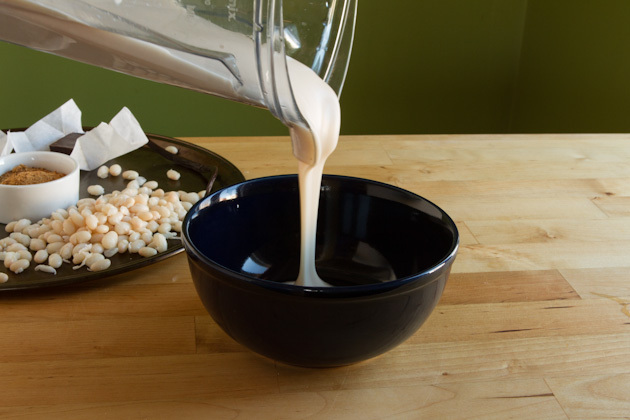 Place beans and milk in the bowl of your food processor or blender and puree until ultra smooth, about 2 minutes. Set aside. 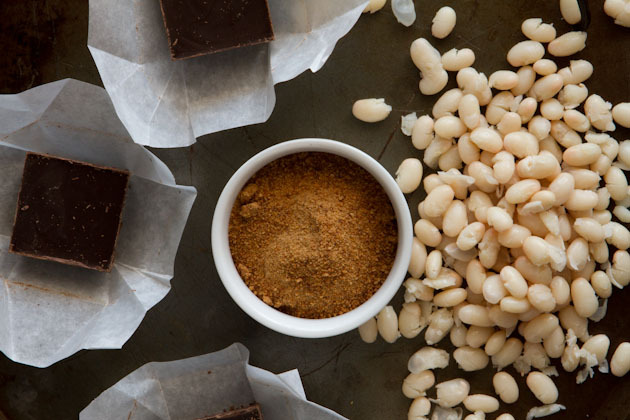 Place chocolate, coconut sugar and salt in the bowl of your double boiler. If you don't have a double boiler, just place in a metal or glass dish over a boiling pot of water. Allow chocolate to melt, about 5 minutes. 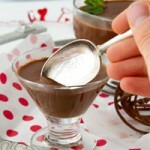 Remove chocolate from the heat and stir in navy bean mixture. Continue to whisk for 2-3 minutes. Pour into 4 cups, glasses or jars and serve immediately or cover with plastic wrap and cool in the fridge for a couple of hours. Will keep for 3 days in the fridge. Don’t worry… I wouldn’t have put beans in here if I felt it really didn’t work in this recipe. 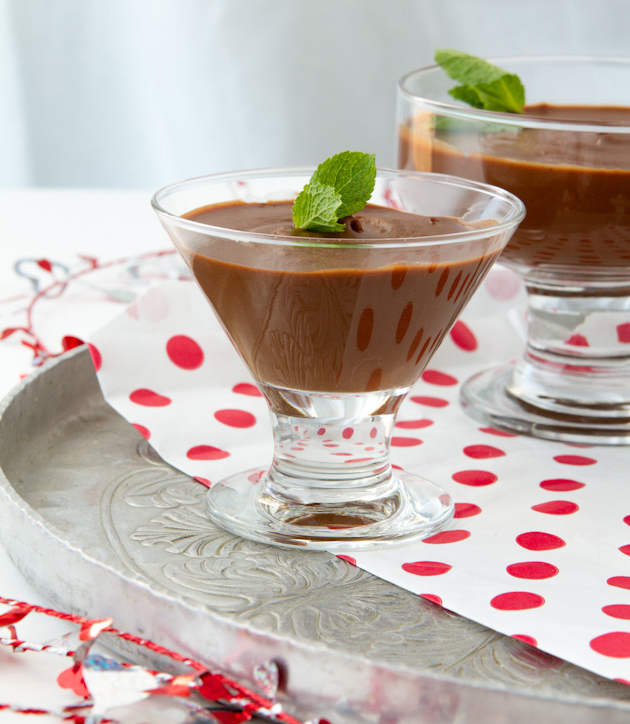 Navy beans are especially silky and smooth, perfect for this pudding! Just look at that pour shot. Nothing but velvety goodness here, friends. 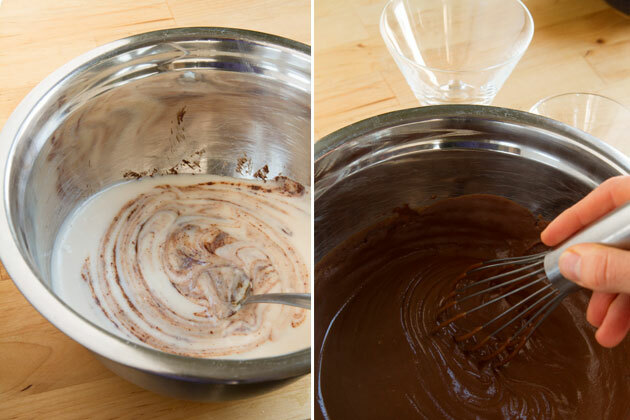 Once the chocolate is melted with the sugar, add your “cream” and whisk! Pour into random cups, jars, or tealight holders. 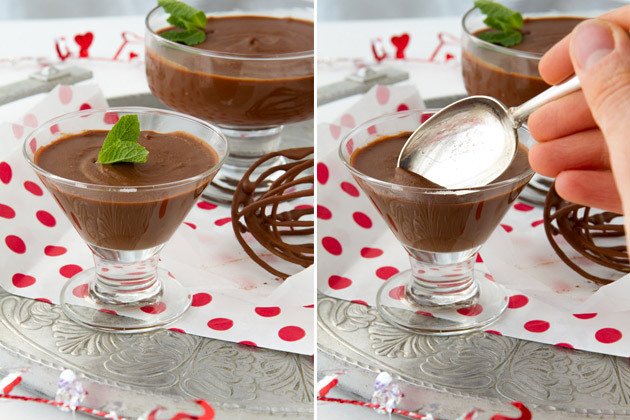 I LOVE these for desserts – they’re cheaper than glasses and they’re a perfect portion size. You can either eat the pudding warm if you’re into that kinda thing, or cover with plastic wrap and chill in the fridge. Best part is, this pudding doesn’t develop pudding skin. Yay!